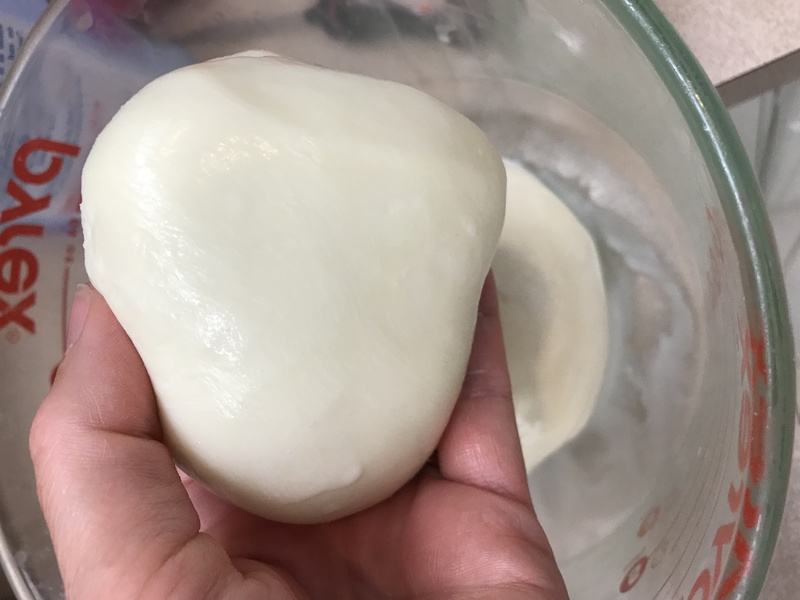 I have been putting off making homemade mozzarella cheese because it seemed complicated, but once I got my ingredients together, it was done in less than a half hour. 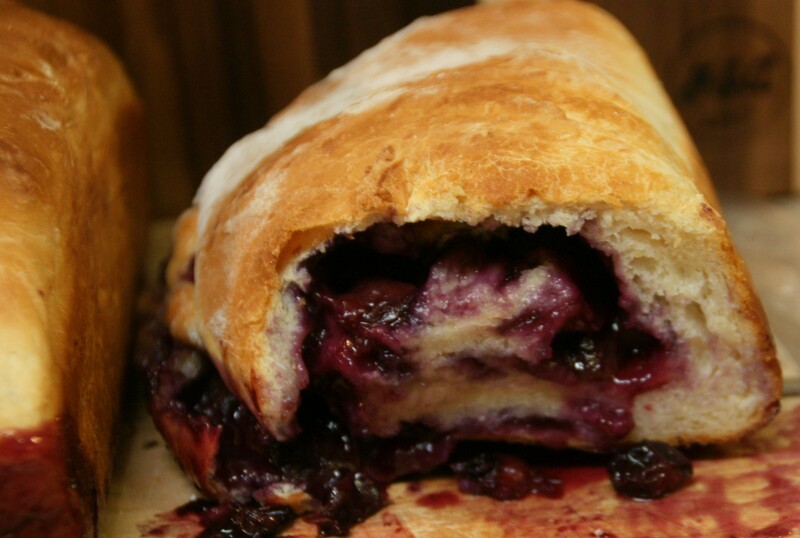 This is one of my bucket-list foods to make, and I was so excited with the results. 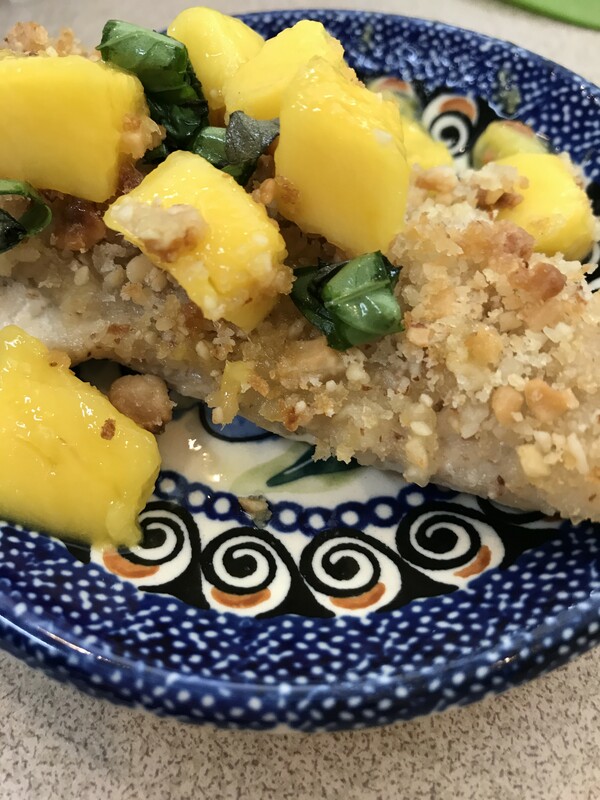 My inspiration for this recipe was a dairy farmer who sold milk out of the back of his red pickup truck. I called him on the phone and he said, “Just look for the red Dodge in the Tractor Supply parking lot”. Sure enough, I found him and the milk was straight from the cow. Goats milk or milk from the store can also be used. Milk, citric acid and vegetable rennet are the only ingredients I needed. A thermometer assures I do not overheat the milk. It is as easy as heating the milk to 95 degrees and adding the dissolved citric acid. I heat the milk a little more to 110 degrees and stir in the quarter of a rennet tablet. To my amazement, the curds started forming immediately. I simply removed the curds and drained the whey. I used the microwave to heat the curds for about 20 seconds so they could be stretched. 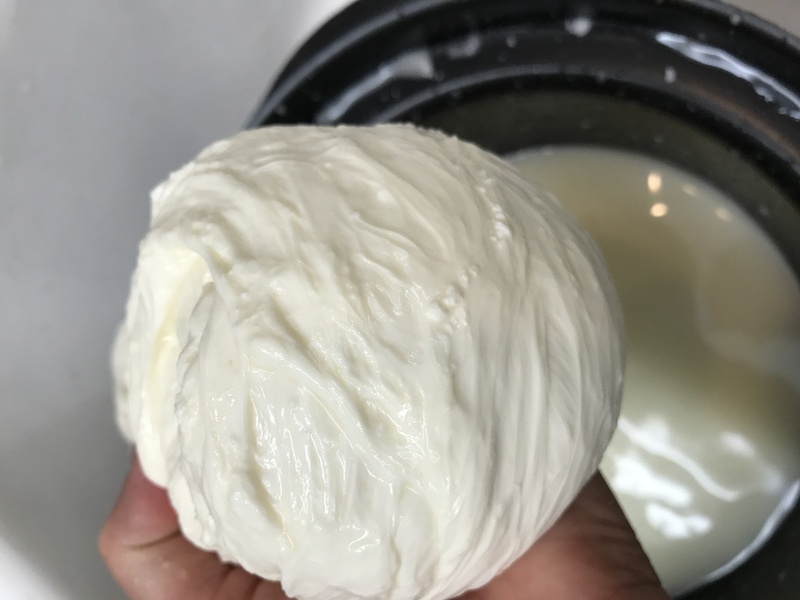 The curds have to reach 135 degrees so they can be stretched and folded back on itself to form a ball. Pretty simple. 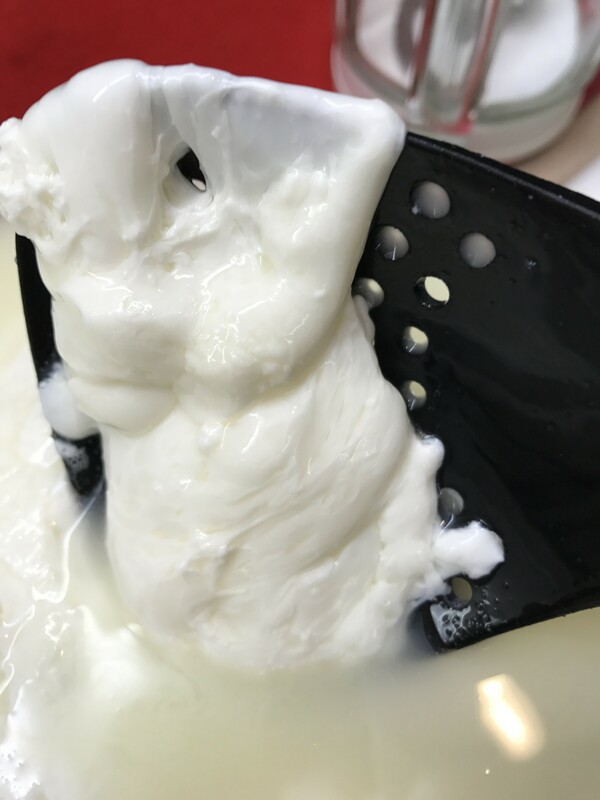 When the liquid is yellow and the white curds start forming, drain off the liquid whey. Save the high protein whey for making smoothies, bread or substitute for the liquid in other baked products. 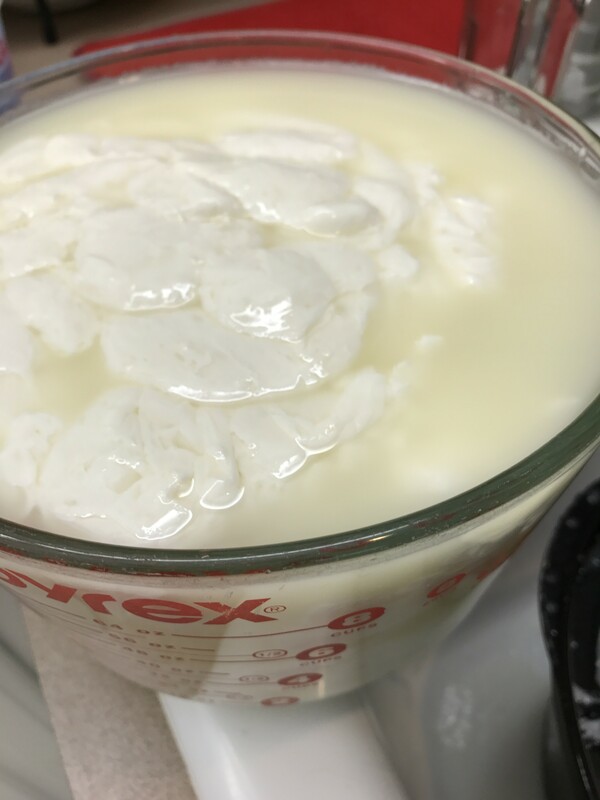 The curds start to form in just a few minutes after adding the vegetable rennet and citric acid to warm milk. At this point, the cheese needs to be warmed to 135 degrees and stretched in order to become smooth. 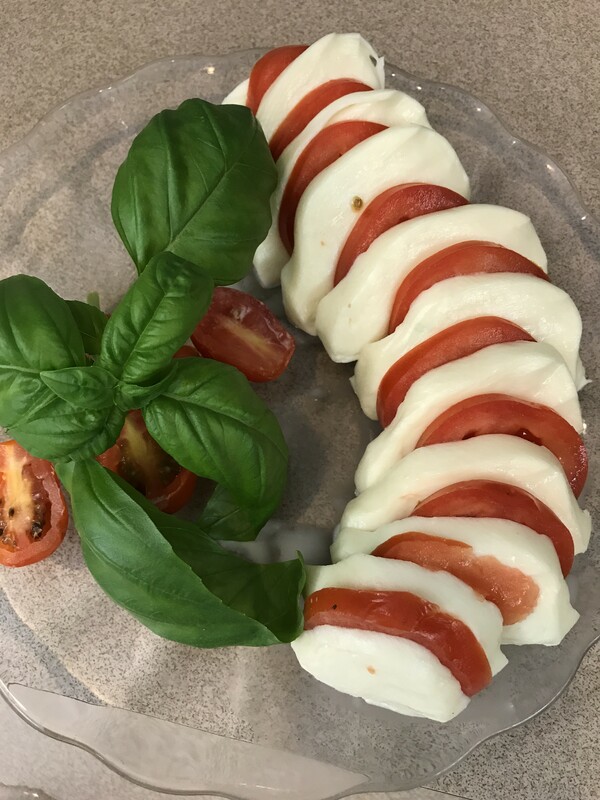 The fresh mozzarella ball is warmed, stretched and becomes a beautiful, smooth ball. It is ready to slice and serve. Pour milk into a 5-quart pan. Dissolve the citric acid in 1 cup of water in a small bowl, Stir into milk. Heat milk to 90 degrees over medium heat, stirring 5 or 6 times. Meanwhile dissolve the rennet in the remaining 1/2 cup of water. When milk reaches 90 degrees, stir in rennet solution. Use a gentle up and down motion and stir for about 30 seconds. Heat the milk to 105 degrees. The milk will start to coagulate. As the curds start to form, gently stir for 1 minute. The curds are white and shiny like yogurt. The whey is yellow. Turn off after the one minute of stirring. 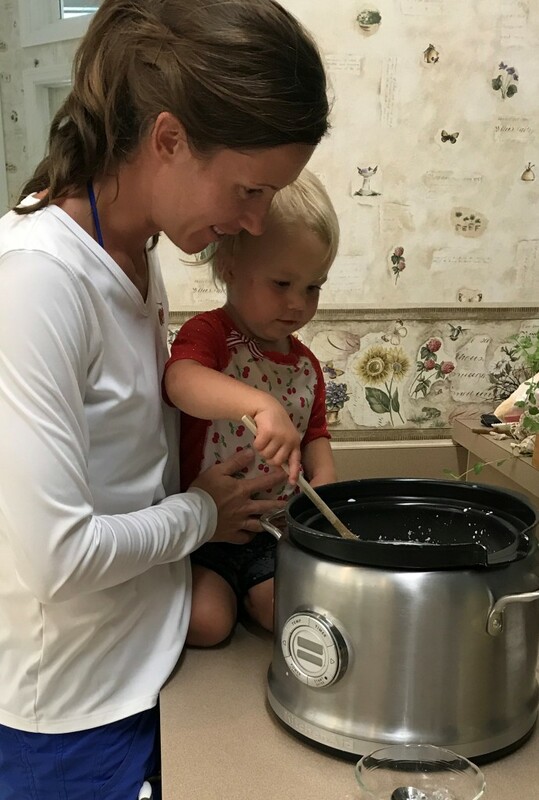 If the milk is all white and has not started to separate into curds and whey, heat the milk a little longer but to no higher than 110 degrees max. Spoon the curds into a microwave-safe dish. Gently hold the cheese curds so that they whey can be drained off. Gently remove as much liquid from the curds and place curds in the dish. Microwave the curds for about 20 seconds or until about 135 degrees. Add the sea salt. Gently stretch and fold the cheese back on itself just 2 to 3 times. Shape the cheese into a ball and served immediately. It will keep up to 1 week but is best eaten the day it is made. Paige working hard at making sure the curds are soft and stirred gently.